The story of the spies returning with their evil report is well known, but the reason they were punished is not commonly understood. What did they do wrong? They reported what they saw accurately. Ramban suggests an answer. The key, he says, is in their use of the word efes, “however”: “However, the people be strong that dwell in the land, and the cities are walled, and very great” (Bamidbar 13:28). Ramban says that efes means “nothing” here (it later came to mean “zero”): “Their wickedness was in their use of the word efes, which indicates that the matter is completely impossible” (Ramban on verse 27). To say that it was impossible demoralized the people and demonstrated, perhaps even propagated, a lack of faith in God. I would like to suggest that the key is a different word, one that they failed to use. That word is tova, “good,” a word introduced by Moshe. Before sending out the spies, Moshe instructed them to search out the land, to assess the military strength of its inhabitants, and to consider the best tactics for invading and conquering it. True, God had promised to give them the land, but it was their responsibility to wage the war for its possession as strategically and intelligently as possible. 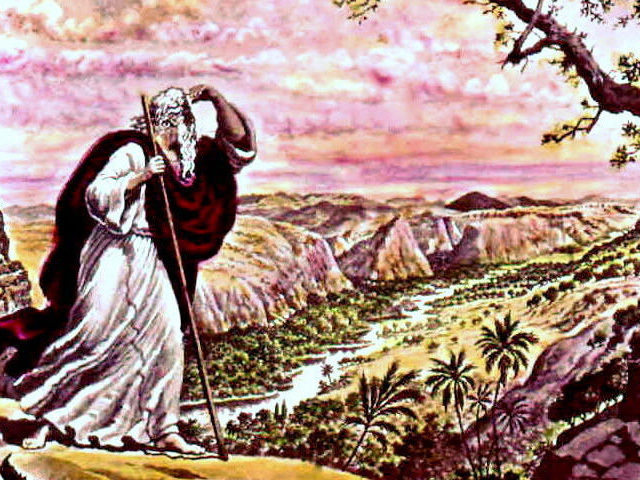 All this is well and good, but then comes a troubling phrase in Moshe’s instructions: “And what of the land that they dwell in, is it good or bad?” (13:19). This is not a question of description or fact, rather, it is a request for an evaluative assessment. The question also seems unrelated to issues of military strategy. That Moshe would ask whether the land was good or not is quite astonishing given that God explicitly told him that God would bring them to “a good land, one flowing in milk and honey” (Shemot 3:8). To resolve this problem, a number of commentators interpret this question as one of military assessment, not one of judgment of the overall quality of the land. Rashbam, for example, states that Moshe was asking if the land was full of grain in trying to determine if the people could sustain themselves through the invasion. Rashi and Ibn Ezra, however, understand that Moshe was asking a general question about the quality of the land: Are there plentiful sources of water? Are the air and water of good quality or bad? Regardless of Moshe’s intent, the request for an overall assessment of the land—is it good or bad—had been made. How was this question answered? It was not. When the spies came back, they accurately reported that the land was “flowing with milk and honey” (13:27). What they failed to say was that the land was “good,” and this amounted to a refusal to give the land their approval and to affirm God’s promise. On the other hand, we have the crux of Calev and Yehoshua’s response: “And they spoke unto all the company of the children of Israel, saying, ‘The land, which we passed through to search it, is good, very, very much so’” (14:7). The spies understood their mission to be not just to report on facts or to evaluate what they saw from a military perspective; but to determine whether the entire endeavor was worthwhile in the first place. Was the land good? Was it worth the battle? In contrast, Calev and Yehoshua came in committed to the goodness of the land and the rightness of the enterprise. For them, it was given that the land was good and that God would help them conquer it. They did not need to spy out the land to determine this. Their mission—as they properly understood it—was only to determine how best to go about waging the war, how best to make God’s plan succeed. For those who were not committed to the enterprise from the outset, who did not believe that the land was good, every problem loomed large, and every challenge became an obstacle. It was different for those who began with a fundamental belief in God’s promise and the goodness of the land. Whatever the problems or challenges, they would be met and dealt with: “We shall surely ascend and conquer it, for we can surely do it!” (13:30). This is also true of our relationships, as our assessments of others so often become self-fulfilling prophecies. The Gemara (Berakhot 8a; Yevamot 63b) tells us that when a man would get married in the land of Israel his friends would ask him, “matza or motzei,” “found or find?” Is the marriage a matza, as the verse states, “matza isha matza tov,” “a man who has found a woman has found goodness” (Mishlei 18:24)? Or is it a motzei, as the verse states, “u’motzei ani mar mimavet et ha’isha,” “I find the woman more bitter than death” (Kohelet 7:26)? On the face of it, this was a roundabout and clever way of asking the man if his wife was a good match for him (although it needs to be acknowledged that the second verse seems to communicate a strongly negative attitude about women in general). There is, however, another way to understand this, namely, that the question is not so much about the bride as about the groom. What type of person is he? Is he a matza or a motzei? Is he “one who has found,” or “one who is always finding”? No match will be perfect. There will always be things one spouse will do that will annoy the other and ways in which the two are not fully compatible. The question is, with what mindset does one enter the relationship? If a person enters the relationship believing—like Calev and Yeshoshua—that it is good, that they are fortunate to be marrying this person, then they will most likely be happy in the marriage. Such a person is a matza, one who stops looking once they have found the thing they are looking for. And thus, matza isha matza tov; if he comes in believing it is good, it will indeed be good.